Simply have your doctor send us a prescription for test strips (over the phone, escribe, hand-written etc.) ​and we'll take care of the rest! at least one prescription medication with us in the previous 90 days. 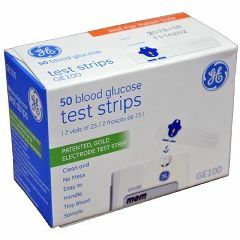 *50 free test strips per fill if testing once or twice a day. ​100 free test strips per fill if testing three or more times per day.